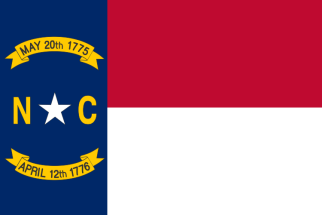 Statewide registration of births and deaths in North Carolina was mandated in 1913, with North Carolina vital records collected by the Office of Vital Records, North Carolina Department of Health and Human Services. This office has maintained North Carolina birth records since October 1913 and North Carolina death records since January 1930, with records also available at the County Register of Deeds. Many county registers have online searchable record databases. Requests for certificate copies can be made in person or by mail; online and phone requests are through VitalChek. Historical death certificates for 1913-1955 are available at the North Carolina State Archives. The North Carolina State Library has death certificates for 1913-1975, with a stateside index 1913-1979, in addition to microfilmed indexes to births and deaths (except Wake and Durham) and some birth and death records from select county registers of deeds. Note: Anyone can order an non-certified copy of a record with the exception of birth certificates for adopted persons. Only family members can order a certified copy. The fee is the same. Record Access Requirements: Investigative searches are permitted, but only non-certified copies are provided. Otherwise, requester must state relationship to subject and why record is needed. Note: Non-certified records may be obtained by the public; certified copies can only be purchased by family members. The fee is the same for either record.